There are those in the whisky community who think we at Malt are too critical, and would have us say super-happy things at every opportunity. Everything should be rainbows and unicorns and light! And we’re just grumpy old sods for thinking that any whisky can possibly not be the nicest thing ever created, and that any criticism is an insult to you and your mother. So I thought I’d try to be Super Positive for my next review and decided to try this out on Jura! Yes, Jura! Potentially our least favourite whisky on Malt, the kind of thing that if we had a league table would perhaps linger down there in the relegation zone. But I am being Positive Mark, so I’ll stop! Good things to say about Jura’s whiskies then… Uh, Jura is an island! Yes, a very scenic one too, but that’s just where it’s made, not where its ingredients come from, for the only thing you could possibly use as an ingredient on that island are the red deer, and I’m not sure vegans would like that very much, no sir. Stop it! I’m being sarcastic when I’m meant to be all fluffy and happy for the whisky community, who only like positive things! Jura comes in a bottle, a rather nice bottle maybe. It is spelt with just four letters! That’s so easy to pronounce too. Ju-rah. So nice of them. Isn’t this review lovely so far! You’re so lovely too for welcoming our new positivity. Isn’t this great? No, you’re great. 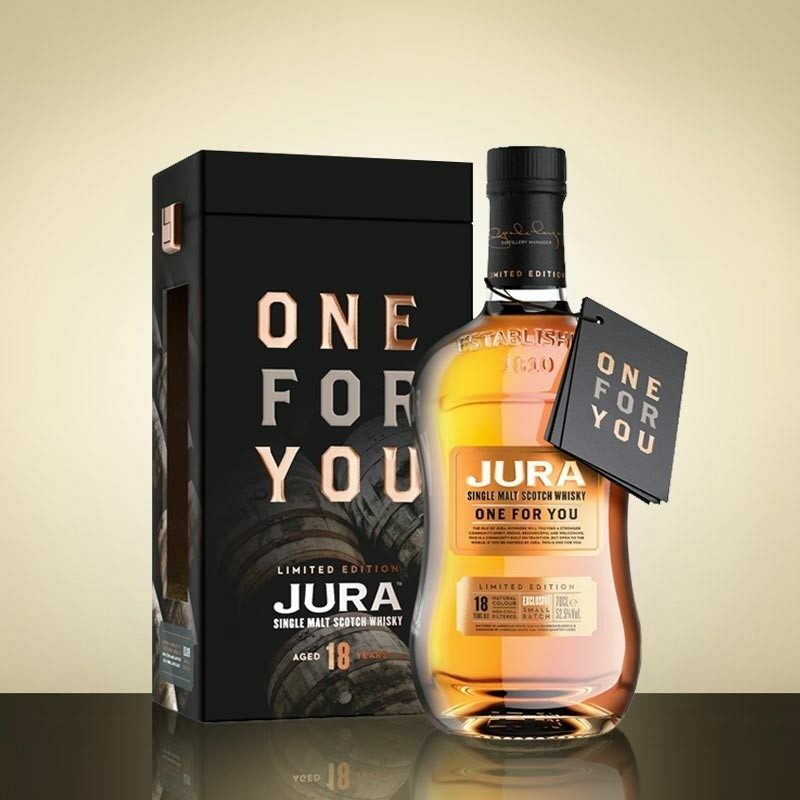 Jura One For You is the final of three whiskies that are all about former Distillery Manager Willie Cochraine. To be fair, I really enjoyed the previous whisky, One And All, so I’m coming to this with actual positivity. This bottle, in particular, celebrates the Diurach community (the non-deer inhabitants of Jura). It’s an 18 year old whisky that’s been sitting in ex-bourbon barrels and “enhanced” in virgin quarter casks. [Don’t accuse me of using those quotation marks to suggest that the whisky had lived in really bad wood for all that time, and they’re using the quarter casks to give life to duff spirit, as I would never say a thing like that when I’m being Positive Mark!] More positive things: it’s bottled at 52.5% ABV and has no colouring or chill-filtration. It’ll cost you about £130. On the nose: Lovely combination of sweet notes: vanilla, as is the tradition these days, but dried apricots, dried oranges even, with cinnamon and a little mustiness. Lime marmalade. Initial fun fades with time, but we’re left with pleasant tropical notes, mangos, pineapple. In the mouth: nutty, quite velvety, with bright coriander and chilli heat underscoring dried apricots, chocolate, toffee notes. Olive oil. Cloves and black pepper, a little too astringent which taints the short finish slightly. Back to Happy Mark! We have a nicer Jura variant here. It’s pleasant indeed. Not as good as the One For All, but still a Jura that does not underwhelm. Oh I know I really wish all whiskies could be the same levels of amazing so we don’t get upset! It’s nice. It’s not amazing, but it is nice. And that’s as super-happy-positive I can be. Mark, now why do I feel the need to hug you? Because we’re all feeling super positive, I may even accept that hug. 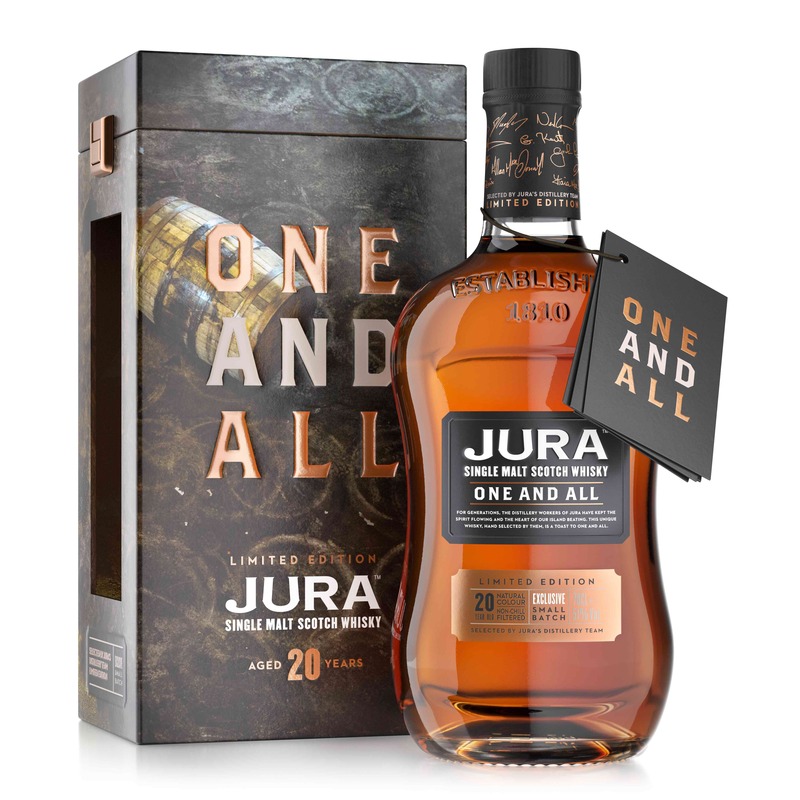 I was a big fan of jura origin and unhappy we can’t get this anymore.all of there new stuff is smoky so have to find a new fav.any recommendations or will i stick to speysiders. Nothing wrong with Speysiders! Glengoyne, Glenfarclas, always good value. 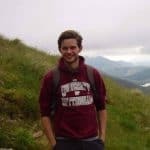 I realised as soon as I typed that, that Glengoyne was on the Highland and Lowland line; but my head was thinking about malty Sherry style whisky. I couldn’t be arsed to change it as I had a toddler to get to sleep. So grumpy Mark has returned.